If your based in Bromsgrove or the local surrounding area and are looking for a local artificial grass installer, Landscapia can help. Landscapia are based in Halesowen and are artificial grass and tuft specialists covering Bromsgrove and surrounding areas. We are a local family run business who specialise in artificial grass and artificial lawn installations. We are the approved installer for Quickgrass Artificial Grass, in our opinion the finest artificial grass on the market. Our team of experienced installers and garden landscapers will complete your artificial grass installation to the highest standard no matter what your requirements. 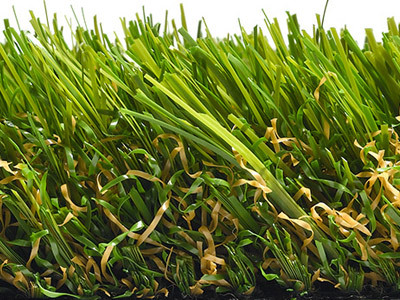 Quickgrass have a range of 7 artificial grasses to choose from and we’re confident we can find the best grass to suit your budget and project. 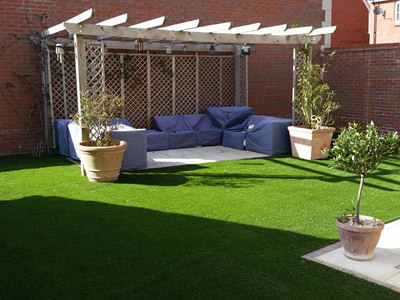 Our artificial grass is suitable for pets, children and is designed for intensive use throughout the year. 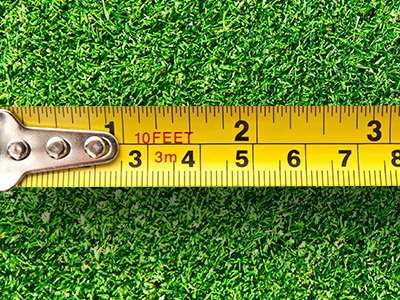 We’ve fine tuned our artificial grass installation techniques to ensure we install a perfect lawn everytime! If you have a problem lawn, pets and children or you just don't have time to look after a regular lawn - artificial grass offers a great, low maintenance alternative to a turfed lawn. Over the last few years artificial grass has improved dramatically in appearance, it's now very difficult to tell if a lawn is real or artificial. In the past if you had an unsightly, patchy lawn the only option was to remove the grass area all together. Now we have super low maintenance, great looking artificial grass. All the benefits of having a beautiful green lawn but without the hassle of mowing, patches and regular maintenance. If you are interested in having artificial grass installed then why not take a look at the range of artificial grass products from Quickgrass. Our artificial grass comes in a range of different styles and prices, our experienced team will be able to work closely with you to tailor a package that is perfect to your needs. We take the upmost care and pride in our artificial turf installations. 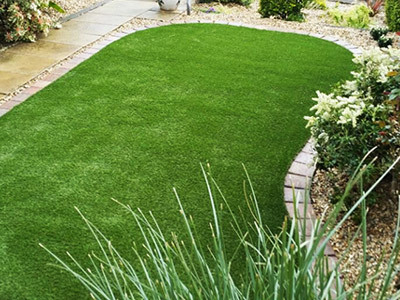 We're based in Halesowen, and are Bromsgrove's leading artificial lawn installer working with only the best and most realistic looking artificial grass. We highly recommend you take a look at our artificial grass portfolio for examples of our highest quality artificial grass installations and see some of the projects we've completed for our customers across the Bromsgrove area. Landscapia have worked over 10 years in the landscaping business, 4 years of which as a dedicated artificial grass installer, this experience gives us the knowledge and experience to help should you wish to have artificial grass installed. 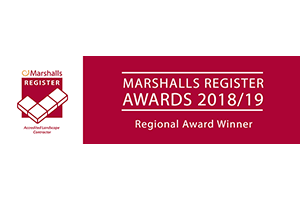 We pride ourselves on the high quality of our work and we get a huge amount of our work through personal recommendation. Click here to view our customer testimonials. As well as being fully insured, we offer a full 12 month guarantee on all our work ensuring your peace of mind. Not only do we specialise in installing artificial grass, we also offer you a professional landscaping service in the Bromsgrove area. We are able to offer you great advice and tips on how the artificial grass will fit in with your existing garden. We offer you a complete service with years of experience and at a great price. 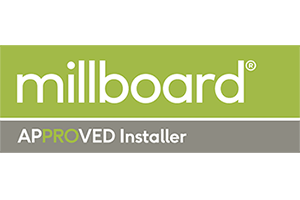 We are the only approved installer of the Quickgrass product in the Bromsgrove area. We value our customers and therefore are proud to work with Quickgrass, a beautiful and completely natural looking artificial grass product. We offer a complete garden design and landscaping service in the Bromsgrove area.